have become the the 3 most terrifying words in today’s society. The truth is though a cancer diagnosis is a challenge, it does not need to define who you are, your family, your life, or your legacy. ​In April 2016 I had the best check up of my life. My 10 plus years of working in the fitness and health industries felt like it was finally paying off. My diet was on point. My workout routine was something to be proud of – at least I was. After meeting with my doctor, I was stoked. My blood work numbers were the best they had ever been. I was proud of all of my hard work paying off. Days later, I started down the path of my own diagnosis. Over the next few months I worked with my doctors to create a protocol that worked with my body. I didn’t stop working. I didn’t stop moving. I didn’t let my workouts or diet suffer nor did I take on extreme habits. I didn’t let the negativity of the media and well minded people around me shake my positive outlook. And I didn’t let THE call define who I am. The one thing I noticed as I went through treatment is that most people mean well and most people are clueless on how to do well. There aren’t resources that help with life and are real (in a positive manner) about what this cancer journey is like. And that’s why I founded Be More Than Your Cancer Diagnosis™. 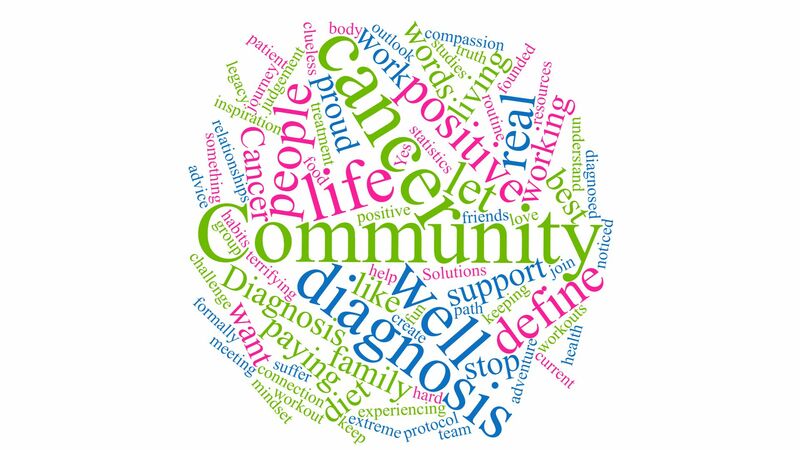 Our online community is about all things life: mindset, fun, living, food, relationships, adventure, inspiration, moving, living and yes being real (in a positive way) about what happens before, during, and after a cancer diagnosis. This group is for you the recent, current, or formally diagnosed cancer patient as well as the family and friends who truly want to support the ones they love. We are NOT about latest statistics, studies, or medical advice. You have a team for that. We are here to lend support and keep you positive.This is NOT a community of judgement, negativity, or pity. It is a community of compassion, connection, and keeping real when it comes to you what you have and will be experiencing. We understand that our diagnosis does NOT define us.